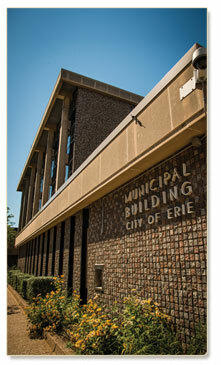 The City of Erie’s municipal building, a.k.a. City Hall, located just off South Park Row at 626 State Street, was built in the mid-1960s. 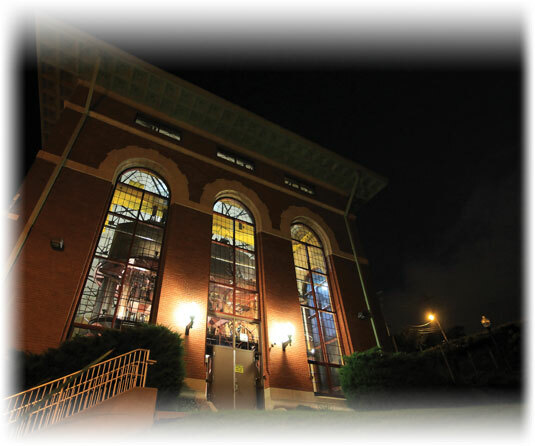 Its exterior is made of pre-cast concrete panels with granite masonry, limestone cornices, and aluminum framed windows. The Erie City government, which has always been predominantly Democratic, consists of a mayor and seven council members. The council is headed by a president, and each member serves the entire city rather than a ward or district. Elections are staggered to prevent all members running for election at the same time. The council can override the mayor’s veto if it has a majority vote (four or more). Both the mayor and council members serve four-year elected terms. The Erie County government consists of a County Executive and seven council members, all of whom serve four-year elected terms. To prevent all members from running for office at the same time, elections are staggered. To ensure the people of the county are accurately represented, every councilman represents a district that is based on population. While the County Executive can veto ordinances and resolutions, the council members can override that veto with a majority vote (four or more). The responsibilities of the county government are set forth in a charter, which prevents the body from infringing on the rights of other home-based forms of government, such as cities, municipalities, and boroughs. In the city, demolishing commercial and residual waste is the responsibility of the Refuse and Disposal Bureau of the Department of Public Works. Much of it goes to Lake View Landfill, located at 851 Robison Road in Summit Township, which is responsible for its safe handling and disposal. Lake View is the primary waste disposal site for Erie County and has, not surprisingly, become one of the highest geographical points in the county. The agency handles more than 50,000 tons of garbage annually. The Department of Public Works, Bureau of Streets is responsible for all street operations, snow and ice removal, salt spreading, limb and leaf removal, cleaning, pothole patching, and street paving. It is also responsible for developing and maintaining all city infrastructure that pertains to streets such as street signs and street lights. 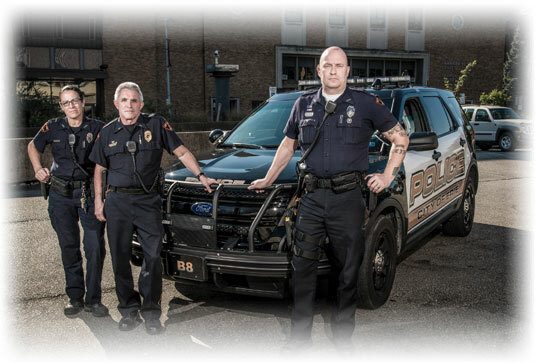 The Erie Police Department currently has 173 active officers on its force, which includes 110 officers in its patrol division. The Department is structured into three main divisions: the Office of the Chief (which includes the Office of Professional Standards, Criminal Intelligence and Analysis, the Training Unit, Special Response Units, and the Office of Community Affairs); the Patrol Division (including the Quebec or Housing Authority Unit, the Neighborhood Action Team, the K-9 Unit, the Motorcycle Unit, Field Training, the Accident Investigation Unit, Warrant Control, Animal Enforcement, and the Fleet Operations Division); and Administrative Operations (including the Criminal Investigation Division, Property and Evidence Control, Insurance Fraud Unit, Drug and Vice Unit, Civilian Management Unit, Identification Unit, F.B.I. Eagle Task Force, and Project Safe Neighborhoods). The Patrol and Administrative Operations divisions are each run by a deputy chief, both of whom report to the chief of police. The Erie Fire Department itself has six fire stations throughout the city, with three full-time engine companies and three dual companies. There are a total of 145 firefighters, 137 of whom work full-time on fire suppression. There are 32 firefighters per shift, who work 24 hours on/72 hours off. The department’s six vehicles, which include pumpers, aerial ladders, and support vehicles, are also on 24/7. 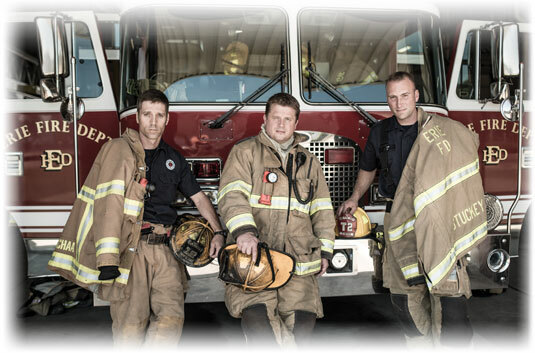 Firefighters are responsible not only for fire suppression, but also for emergency medical services; rescues from vehicles, water, confined spaces, high angles, and off-road accidents; carbon monoxide and fire investigations; fire prevention and inspections; code enforcement; hazardous materials; and WMD/terrorism response. To help the department run effectively, the organization is very structured. 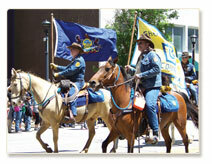 The department is headed by a chief, an assistant chief, and 4 deputy chiefs. The chain of command continues, assigning every member of the department a place and role in the hierarchy. In 2012, the Erie Fire Department answered a total of 5,216 calls, 589 of which were fire runs and 2,787 of which were EMS (emergency medical service) and rescue calls. The purpose of the Erie City Water Authority is to operate, maintain, and construct water production, filtration, and treatment facilities, and to distribute high quality potable water. The Water Authority works with numerous government agencies because of the widespread importance and need for clean drinking water. Water samples are routinely monitored by state and federal agencies, and activities are coordinated with the fire department, the waste water treatment plant, and the streets department. The Water Authority has two major water treatment facilities, the Chestnut Street plant and the Sommerheim Drive plant, both of which operate 24 hours a day, seven days a week. Additionally, the agency has numerous water pumping and storage facilities located strategically throughout its service area. This area includes the entire city of Erie, Lawrence Park, Wesleyville, and portions of Harborcreek, Summit, and Millcreek. The Water Authority also sells what it calls “bulk water” to some Millcreek and Fairview residents. Currently, the Water Authority has a daily excess capacity of 36 million gallons of water. During the winter of 2007-2008, the Sommerheim plant underwent a renovation that included upgrades to the controls and electrical switchgear as well as the installation of new pumps. The City of Erie Bureau of Sewers, located at 68 Port Access Road, is responsible for maintaining and operating the city’s sewer system. Its wastewater treatment plant is manned by a team of 80 to 85 employees and has a design capacity of 68.6 million gallons per day. It serves 200,000 residents and treats an average of between 30 and 40 million gallons of wastewater per day. The Erie-Western Pennsylvania Port Authority is a corporate and political body located at 1 Holland Street. 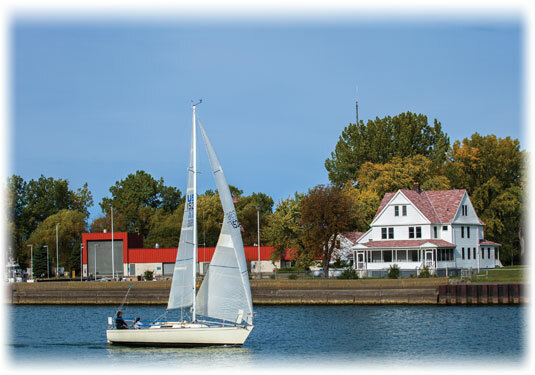 Its mission is to promote and balance water-related industry and recreation on Presque Isle Bay and its adjacent waters for the citizens of Pennsylvania. The Port Authority has legislatively mandated powers that allow it to acquire property, construct facilities, enter into agreements, and generate new private investment. 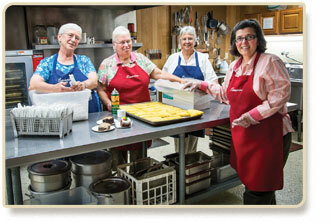 The organization is also responsible for the safe and ecologically-friendly use of the Bay. The U.S. Coast Guard is another important force on the shores of Lake Erie. The city, and more specifically the Presque Isle Peninsula, is home to a U.S. Coast Guard Station, located at the southeastern tip of the peninsula, next to the channel between Lake Erie and Presque Isle Bay. With four full-service post offices in the City of Erie (on State Street, Poplar Street, East 38th Street, and Legion Road) and 25 approved postal providers in pharmacies, supermarkets and convenience stores within a 20-mile radius, the United States Postal Service continues to maintain its presence in Erie. Erieites can drop off and pick up mail at full-service postal facilities, while the provider locations offer an additional venue for retail services such as buying postage stamps. 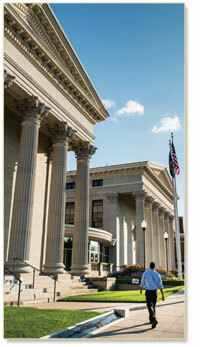 Mail processing for Erie is handled at facilities in Pittsburgh and Rochester. Erie County has hundreds of agencies (far too many to mention here) who work to better the lives of their neighbors. They include both governmental and non-profit organizations devoted to welfare issues such as substance abuse, adoption, food and clothing, and cultural concerns. Prominent figures from Erie history, such as Dr. Gertrude A. Barber and Sarah Reed, left legacies in social service organizations that still bear their names. Notable among governmental agencies is the Department of Public Welfare located at 1316 Holland Street, devoted to helping those with financial hardship. The Department of Public Works, Property and Parks is responsible for the maintenance of city parks and playgrounds, capital improvements, recycling programs, and streetlights. More than 70 different areas fall under this department’s responsibilities. This includes 22 playgrounds, 2 golf courses, and 47 parks (including 24 with playgrounds and 21 special use parks). 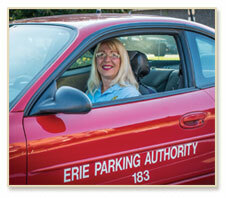 The special use parks typically include one of the most popular features of Erie parks: baseball and softball fields. 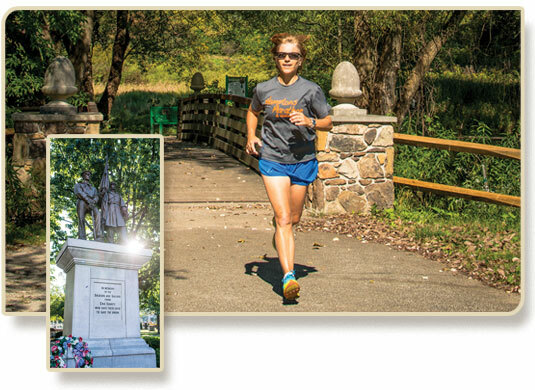 With 126.8 acres of land, Glenwood Park is the largest and one of the most-used parks in Erie. The park, running parallel to Glenwood Park Avenue, includes a golf course, a picnic area, and a playground (adjacent to the zoo). Frontier Park occupies 32.3 acres of land just north of 8th Street and west of the Bayfront Parkway. 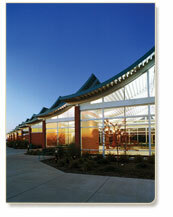 It includes a playground, six tennis courts, cross county/biking trails, bridges, a stream, and an amphitheater gazebo. The Park is home to a number of Erie events, including the annual Erie Art Museum Blues and Jazz Festival. While Frontier Park remains the property of the public, an educational and environmental conservation group known as L.E.A.F. 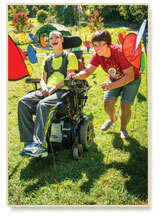 (Lake Erie Arboretum at Frontier Park) has concentrated on beautification by planting 225 varieties of trees, building an amphitheater, a labyrinth, and placing numerous benches and structures. Chautauqua Park - Lakeside Drive and Chautauqua Blvd. Hillside Park and Sunset Blvd. - E. 41st b/t Old French and Sunset Blvd.